How fine can an Ultimaker print? 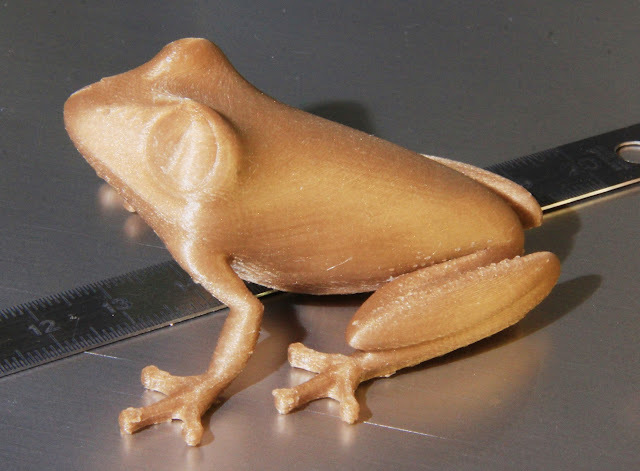 I printed one famous treefrog on my Ultimaker for a friend and realized I have forgotten so far to speak about the overall quality you can reach with this printer. It gets hard to feel the layers by sliding your nail (75 microns layer height). The most prominent place where layers show up is between the eyes.